"Peace, Harmony, Comfort and Joy... Maybe Next Year." This holiday film from 1983 has become a Christmas classic. 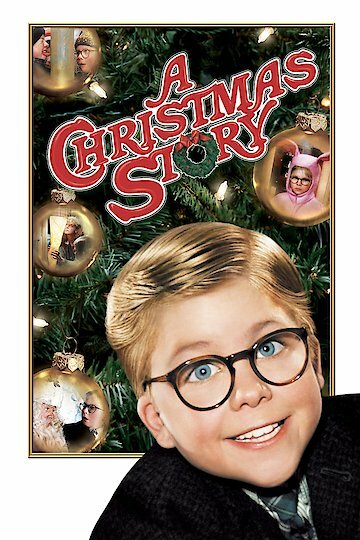 It tells the story of Ralphie, a young boy growing up in a small city near Chicago in the 1940s. All he wants for Christmas is a BB gun, but even that modest wish seems like it might be too much to hope for. A Christmas Story is currently available to watch and stream, download, buy on demand at Sling, Amazon, Vudu, Google Play, FandangoNow, iTunes, YouTube VOD online. The actor who played the main villain in the classic film gets regular, but disappointingly small, royalty checks. Some traditions have been around forever, and some just kind of sneak up on you and become established before you know it. The 24-hour marathon showing of "A Christmas Story" on TBS is one of those sneaky traditions, but it looks like it's here to stay.